OFCC's Best Painted: Team "Make Infinity Great Again"
Hello everyone! 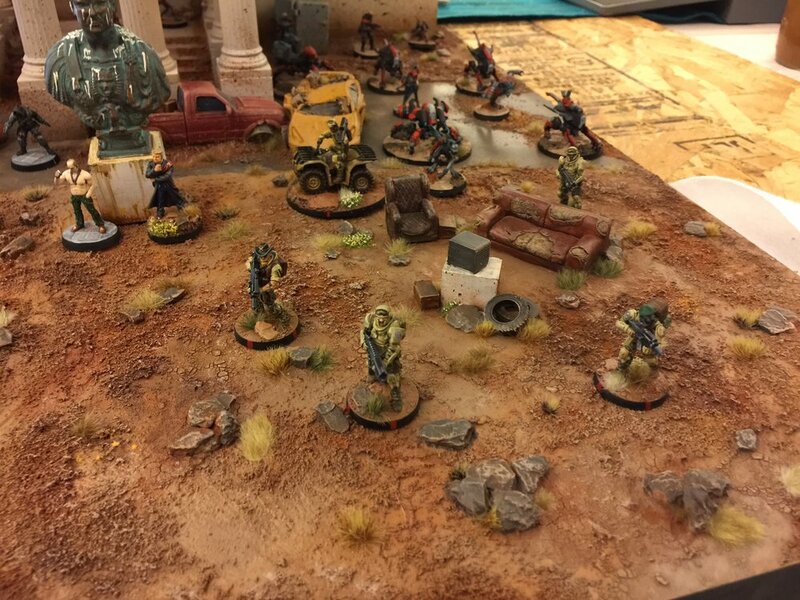 Over the weekend I had the pleasure of playing in the OFCC Narrative Infinity tournament. Overall I had a great time and met many more wonderful players in the area. That's not all I left with though, as our team won Best Painted! I spent the last few months working on this display board and the hard work paid off. Obadiah contributed a pair of amazing HVT's in his converted Putin and Trump miniatures, and definitely helped bringing up our overall painting score. After the event, I've become more inspired than ever to keep working on my USAriadna, but I also have plans for an ambitious modular gaming table, inspired by the rooftops of the Kowloon Walled City. Shadow Wars: Pit Slave Gangs on Armageddon!